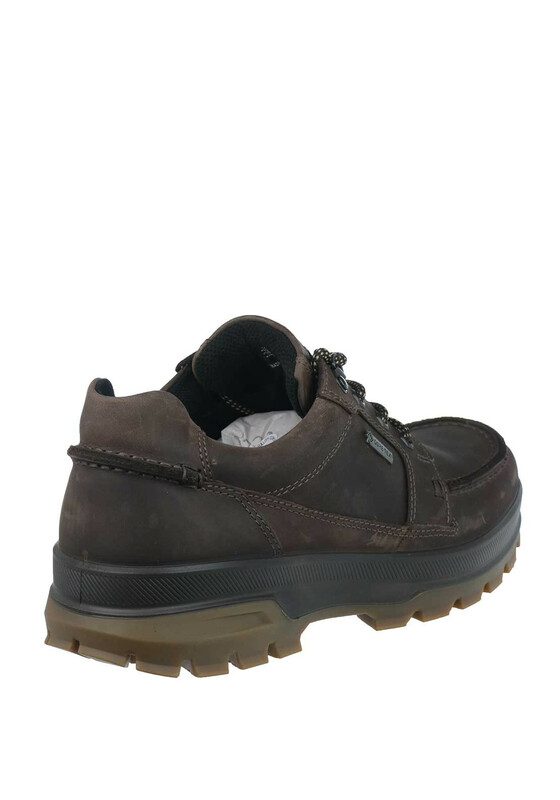 The Rugged Track shoe from Ecco in black is crafted from cow oil nubuck leather with an industrial look and classic design. 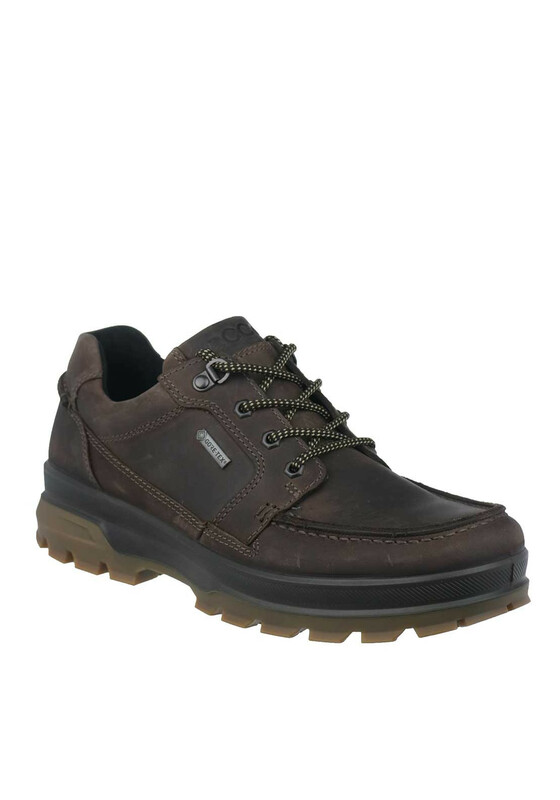 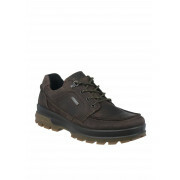 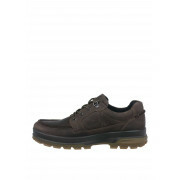 Features top-stitching details, a two tone lace closure and a hardy rubber sole for uneven ground with a breathable and water-resistant membrane for wet weather. 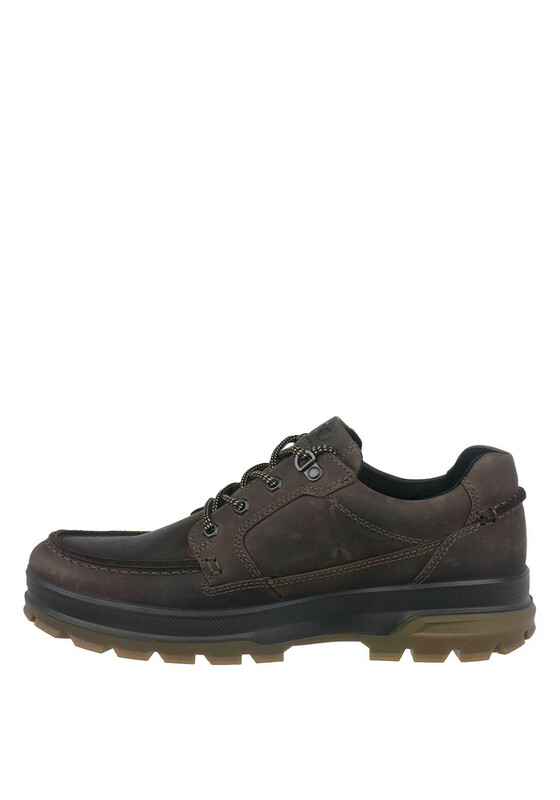 The interior features a 7mm vegetable tanned leather inlays with the Ecco Comfort Fibre System for increased aeration with U foam injected midsoles and ergonomic shaping for a cushy interior.